If you love a creamy fragrant curry, then this recipe is for you. Not only is it full of flavour with a tasty bite, it serves 4 people for just 94p each. 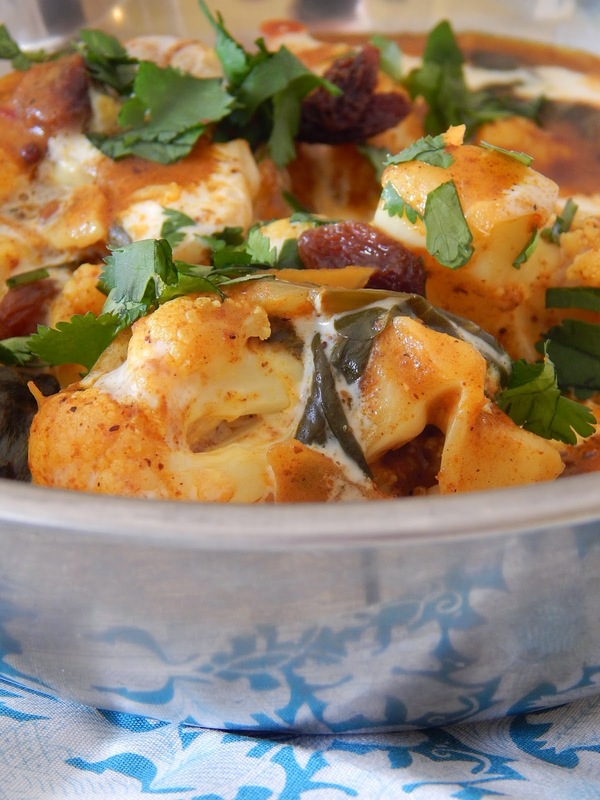 Cauliflower was made for curries. It absorbs the spices so when you bite into each floret, you’re never lacking on flavour throughout the whole dish. Throw in some juicy sultanas and crunchy flaked almonds for the perfect balance of richness, juicyness and crunch. 1. In a large pan, heat the oil and onion over a medium heat for 2-3 minutes until the onion has started to soften. Add in the garlic and cauliflower florets and cook for another 2-3 minutes. 2. Stir in the curry paste, cumin and turmeric and ensure the cauliflower is coated. Pour in the coconut milk, reduce the heat to low-medium and simmer for 25 minutes until the cauliflower has softened but still has bite. The coconut milk will thicken. 3. Add in the spinach, sultanas and almonds and cook for 5 further minutes. 4. Season with sea salt and fresh coriander just before serving.